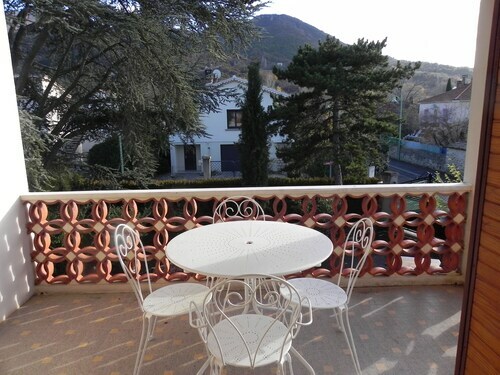 Situated in Nyons, this hotel is 2.5 mi (4.1 km) from Les Barons Perchés and within 9 mi (15 km) of Cave la Comtadine and Archaeological Museum Théo Desplans. La Villasse and Puymin Archaeological Site are also within 9 mi (15 km). Situated in Nyons, this residence is 1.1 mi (1.8 km) from Les Barons Perchés and within 12 mi (20 km) of Cave la Comtadine and Archaeological Museum Théo Desplans. La Villasse and Puymin Archaeological Site are also within 12 mi (20 km). 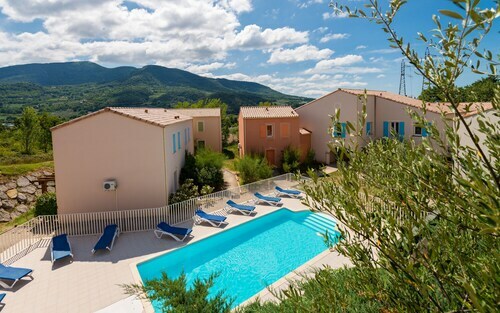 Situated in Nyons, this spa vacation home is 1.7 mi (2.8 km) from Les Barons Perchés and within 12 mi (20 km) of Cave la Comtadine and Archaeological Museum Théo Desplans. La Villasse and Puymin Archaeological Site are also within 12 mi (20 km). Situated in Nyons, this historic property is 1.1 mi (1.7 km) from Les Barons Perchés and within 12 mi (20 km) of Cave la Comtadine and La Villasse. Archaeological Museum Théo Desplans and Cathedrale Notre-Dame de Nazareth are also within 12 mi (20 km). How Much is a Hotel Room in Nyons? Hotels in Nyons start at $81 per night. Prices and availability subject to change. Additional terms may apply. If you're journeying through Drome and decide to spend time in Nyons, you would be wise to book in advance through Travelocity to secure the ideal place to stay at. There are 4 hotels and apartments an easy driving distance from Nyons that ought to satisfy your needs. Some of the most centrally located hotels of downtown Nyons are the La Picholine and Résidence Lagrange Vacances Le Domaine de l'Oliveraie. The Le Clair de la Plume can be found about 12 miles (19 kilometers) away from the heart of Nyons. Another option is the Domaine de Cabasse, which can be found 12 miles (19 kilometers) away. Two other accommodation options in this neighborhood are the Château Juvenal along with the Residence Maloc. Why don't you take the time to broaden your horizons and see the myriad attractions dotted around Rhone-Alpes while you're in the region? Rhone-Alpes is well known for rural landscapes, and other interesting visitor places of interest include ruins and traditional villages. Energetic travelers can involve themselves in snowboarding in the area. 40 miles (65 kilometers) to the north of Nyons, you'll reach Valence, home to Maison des Tetes and Valence Cathedral. The Hôtel de France and Best Western Clos Syrah are some of the apartment and hotel options in Valence. For another option, stay in Tain-l'Hermitage, 50 miles (82 kilometers) north of Nyons, where you can choose from the Hôtel Azalées and L'Abricotine. Regardless of whether you're passing through or spending a few nights in Tain-l'Hermitage, be sure to visit the M. Chapoutier and La Cave de Tain. When experiencing the thrill of stadium sport if on your list of things to do, visit Costieres Stadium, which is 55 miles (86 kilometers) to the southwest of Nyons. Those sports fans wanting to stay in the area around the game can read about the Holiday Inn Petite Camargue or the Hotel Imperator. When you're flying into or out of Caumont Airport and need to find somewhere to stay in the area, consider Auberge De Noves or La Livrée du Palais.